As we age, it can become difficult to perform many of the tasks we need to do or are used to doing for ourselves. An illness or injury can further complicate our abilities to perform those daily activities. At some point, home health care may be a necessity, but how do you know when that point has arrived? Some serious questions need to be asked and answered honestly. This can help you determine if maybe it is time to consider help with many of these things. Can I still drive or run errands for myself? Vision issues and other age-associated problems can limit a person’s ability to drive. However, this does not necessarily mean they need home health care. Public transportation or even rides from friends and family members can allow a person to take care of errands and other daily travels needed. However, there may be an issue if these tasks can no longer be performed alone or at all. 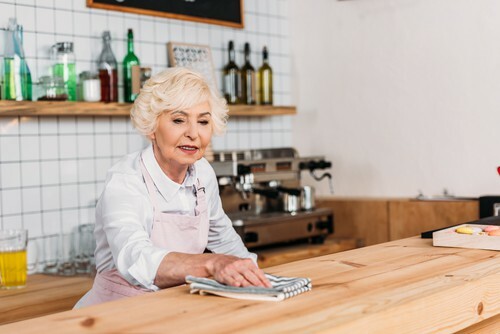 If walking through a store alone can pose a serious risk to your health and safety, it may be time to look into assistance with these errands. Can I still cook, clean and perform other household tasks? As we age, mobility can become a serious issue. It can be difficult to move around as we once did. Various household tasks and daily chores can become impossible. This does not include major cleaning or tasks necessary for maintaining a home. Needing help with these things on occasion can often be easily handled by friends and family. This also does not necessitate home health care or a companion. However, if you are unable to perform the daily tasks necessary for living, regular assistance may be necessary. Can I manage personal hygiene on my own? Mobility issues can make it difficult for many seniors to bathe and dress themselves. This is often a clear indication of a need for help. These personal hygiene tasks are necessary for maintaining good health. If help is needed daily to perform these actions, home health care may be necessary. Is my health or safety at risk if I am alone? Mobility issues, health issues, and cognitive issues can all pose risks to a person’s health and safety if they are left unattended. This one can be the most difficult for a person to answer honestly. However, it is important to do so to maintain health and safety. If you are high risk for falls or other issues associated with your health, you may need at least regular or daily visits to ensure you are fine. Cognitive issues pose a more serious risk and may need constant companionship throughout the day as the problem progresses. It is important to fully evaluate your abilities when trying to decide if home healthcare is right for you. It may be frightening to admit you need help. However, more and more seniors are staying in their homes and living independent lives with the assistance of home health care. There are facilities that can provide individual care to suit your specific needs. Contact us for more information about home health care services.